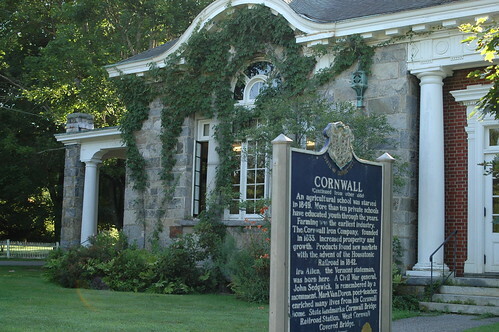 cornwall town hall, originally uploaded by jahansell. I walked by this building early on a Sunday morning. A strange and beautiful chanting was emanating from inside, as if a Church service of some unfamiliar denomination. I walked around and around, and finally spotted an open door and a woman standing alone. I poked my head in and realized she was preparing to teach a yoga class, and the music was from her CD player. There was also song coming from another building I passed - a real church, about which more tomorrow.